Tag Archives for " DUI "
Noah's Law, also known as The Drunk Driving Reduction Act of 2016, is named after Montgomery County Police Officer Noah Leotta, who was struck and killed by a drunk driver in December 2015. What does Noah's Law do? What charges are effected by Noah's Law? How long do I have to have the interlock? Can I drive a non-interlock car? ​No. You are required to obtain a Maryland Driver's License with an "Interlock Restriction," which prohibits you from driving any vehicle without an interlock device. You are, however, permitted to drive an interlock equipped vehicle at any time, and for any reason​. Is this in addition to the suspension/interlock that I had to get because of my breath test result or refusal? ​Yes. This is a SECOND license restriction that is in addition to any suspension you served because of your breath test result, or because of a refusal. ​If you have been charged with DUI in Maryland, you have 10 days to protect your driver's license. Click on the red link below, or get the FREE guide "How to Choose a DUI Lawyer in Maryland". The guide gives you the 10 questions that you must get answered before you hire a lawyer AND shows you 20 ways the average lawyer can lose a winnable case! Scott, help me protect my license! 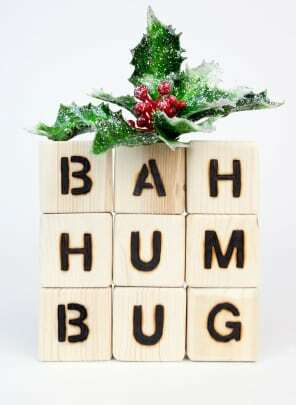 Maryland’s Highest Court Says Bah Humbug! What should I do if I’m pulled over for DUI? A traffic stop is one of the highest-risk things a police officer does. When an officer is walking up to your car, they have no idea what they are about to encounter. Anything you can do to make the officer more at ease especially when approaching vehicle will make things go better for you. If you are stopped during the day, make sure that your hands were on steering wheel where the officer can see them and roll your window down before the officer gets there. If you're stopped at night, make sure that your interior light is on so the officer can see into your vehicle. The officer will typically ask "How much did you have to drink tonight?" That is the DUI equivalent of "When did you stop beating your wife?" No matter how you answer, the officer will interpret your answer against you. If you use what you think is the safe answer as "two," that is the answer that most police officers get and they won't believe you. Even if you only had two drinks, the officer will not ask any other questions to narrow down when you actually had those drinks. You best answer is "My lawyer told me not to answer that question." At this point, the police officer will likely ask you to step out of your vehicle to "perform some tests." Most people asked me "well, won't I get arrested then?" My answer always is that yes, you will likely be arrested, but you were probably going to get arrested anyway. Why give the State extra evidence against you? Read about what to do when asked to take the breath test. Read more about the Field Sobriety Exercises (the police call them Field Sobriety Tests), DUI defense in general, or download my FREE book "How to Choose a DUI Lawyer in Maryland." If you are facing DUI charges and want Scott to take a look at your case, complete the DUI Case Evaluation Form and Scott will contact you. Does a penny under your tongue fool the breath test machine? Prior to your taking a breath test, the breath test operator is required to check your mouth for any foreign objects. Even if you were able to sneak a penny under your tongue, it wouldn't have any effect on your breath test result. So in short, there really are no secret tricks to fooling the breath test machine – there are only ways that the breath test machine can for you. Any foreign substance in your mouth could actually cause the breath test result to be higher rather than a lower, as demonstrated in this YouTube video by my friend and colleague Justin J. McShane, Esquire of The McShane Firm in Harrisburg, PA. The harder you blow into the machine the higher your breath tester so is going to be. If you don't blow hard enough, the police may say that you didn't provide a sufficient breath sample which is the same as a refusal. The breath test machine that Maryland uses, the Intox EC/IR II requires a breath sample of at least 1.5 liters, or 1500 milliliters. If you provide 1499 milliliters of a breath sample is considered an insufficient sample. Read more about why your breath test result was probably not accurate or download my FREE book "How to Choose a DUI Lawyer in Maryland." If you are facing DUI charges and want Scott to take a look at your case, complete the DUI Case Evaluation Form and Scott will contact you. I didn’t have that many drinks, how accurate is the breath test? Simply put, the breath test may not be accurate. The test is looking for .08 grams of alcohol her 210 liters of breath. To put that in perspective .08 g is about three grains of rice and 210 liters is about the size of a 55 gallon drum. That means the machine is looking for three grains of rice in a 55 gallon drum or an oil drum. To make the math easy, your breath is only about 2.1 liters, so the machine is actually only looking for 1/100 of those three grains of rice, or about three grains of salt out of your breath sample. The machine is also working off of a mathematical formula that converts your blood alcohol level to a breath alcohol level. The formula relies on two numbers that it assumes our constant - the temperature of your breath and what is called a partition ratio. If either of these two numbers are different than what the machine assumes they are, then the result of the breath test will be wrong. For example, if the temperature of your breath is 1° higher then the pre-programmed temperature that machine uses, your breath test result will automatically be 7% above your blood alcohol level! Read more about why your breath test result was probably not accurate or download my FREE book "How to Choose a DUI Lawyer in Maryland." If you are facing Maryland DUI charges and want Scott to take a look at your case, complete the DUI Case Evaluation Form and Scott will contact you. Will I lose my license or go to jail for my DUI? If your breath test result was under .15 and this is a first DUI then you will likely be able to keep your license for getting to and from work, driving for work purposes, school, alcohol education or treatment, and court. If your breath test result was .15 or more or if you refused to take the breath test, the only way that you will be able to keep your license is if you have the ignition interlock installed on your car for a year. If however, your attorney is able to successfully argue on your behalf at an MVA hearing, then you will keep your full license. When you are arrested, you were given two copies of the "DR–15A officers certification and order of suspension" (or "Temporary License"). The "Driver's" copy of the Temporary License is your drivers license. You were on so given a "Hearing Request Copy" of the Temporary License – it has a section on the back with instructions on how to request your hearing. Although you have 30 days to request a hearing, in order to continue driving beyond the 46th day after the "Issue Date" on the Temporary License, you MUST request your hearing within 10 days. The hearing request is considered incomplete and will not be accepted by the Office of Administrative Hearings without a check for $150.00 (payable to "Maryland State Treasurer"). Mail the request to "Office of Administrative Hearings, 11101 Gilroy Rd, Hunt Valley, MD 21031-1329." If this is your first DUI, then you will likely not go to jail, unless there are aggravating circumstances like an accident with personal injury (especially to another person) or an extremely high breath test. Also for a first offense DUI, you will likely be offered was called Probation Before Judgment (commonly called a PBJ). A PBJ keeps the conviction and any points from appearing on your public driving record. The law currently only allows a PBJ once every 10 years. Unlike most other criminal or traffic charges, a PBJ for a DUI cannot be expunged from your record. If you do get another DUI sometime in the future, a charge may consider that as a prior DUI. To learn more about DUI laws and the defense of DUI charges, check out the DUI section of the website. You can also download the FREE book "How to Choose a DUI Lawyer in Maryland." 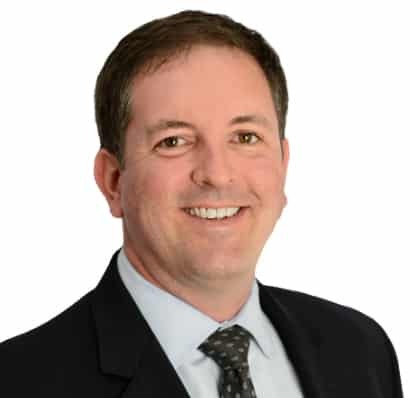 If you have been charged with a DUI, you can complete the DUI Case Evaluation and Scott will contact you to discuss your case. Should I take the breath test in Maryland? There is no penalty or suspension by the Motor Vehicle Administration (MVA). You face a suspension of your license for 45 days that may be modified for travel or work purposes, alcohol treatment, health care and/or school if the driver has not been convicted of DUI/DWI or had a suspension for a test result of .08 or above or a refusal within the last five years. You face a suspension of your license for 90 days, with no modification for work purposes, alcohol treatment, health care and/or school, but the suspension may be modified to participation in the Ignition Interlock System Program for a period of 1 year. You face a suspension of your license for 120 days, with no modification for work purposes, alcohol treatment, health care and/or school, but the suspension may be modified to participation in the Ignition Interlock System Program for a period of 1 year. If you have a Class A (CDL, or Commercial Driver's License), disqualification of your CDL for one year, or for three years for a 1st offense while transporting hazardous materials required to be placarded. For a second offense, disqualification of your CDL for life. ​With the Ignition Interlock, if you have one or more violations during a monitoring period, you will be required to have the Interlock on your car for an additional month. You get three strikes (which also means three additional months, for a total of 15 months), if you get a 4th strike, even if it is on the last day of that 15th month, you will be terminated from the Interlock program, and you will face the entire original 120 day suspension. ​Even if you take the breath test, there are things that I can do to keep the test result out of court. 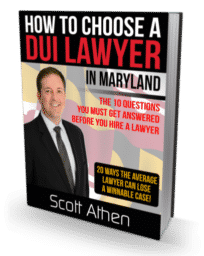 Read more about why your breath test result was probably not accurate or download my FREE book "How to Choose a DUI Lawyer in Maryland." ​If you are facing DUI charges and want Scott to take a look at your case, complete the DUI Case Evaluation Form and Scott will contact you. 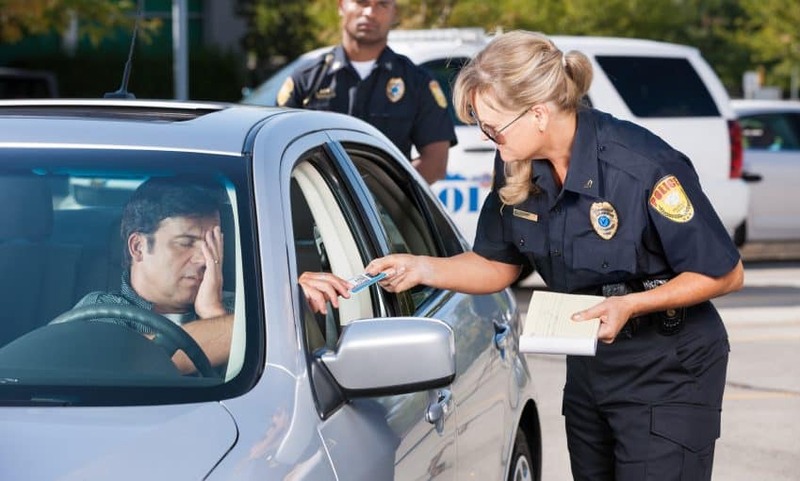 I was arrested for DUI but I was asleep in my car, what will happen? I was parked in front of a Royal Farms after I dropped off a few friends and I was very tried. I was in a very deep sleep when the officers opened my car door and said there was an odor of alcohol in my car. I ask them since they think I'm not able to drive let me take a test which they refused and they were very rude. I was booked and charged for DUI. Will something like this hold up in court because I'm very upset and have never had this happen before. I don't want to go to jail what will happen in a situation like this? It is impossible for an attorney to predict what might happen in your case without a lot more information. It appears that you refused the breath test. If this is correct, then you are facing a 120 day suspension of your driver's license (or privilege to drive if you are not a Maryland-licensed driver). It also appears that you might have some defenses in your case, but an attorney would need to act quickly to start his/her investigation (many Royal Farms have video cameras, and securing a copy of the video may only be possible for a short period of time). 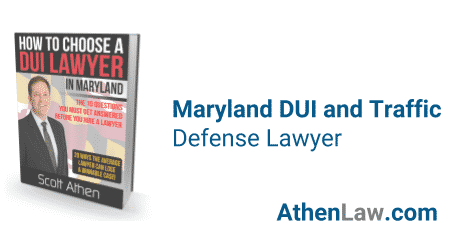 Before you talk to ANY lawyer (including me), download my FREE book "How to Choose a DUI Lawyer in Maryland." If you want Scott to take a look at your case, complete the DUI Case Evaluation Form and Scott will contact you. I hired Scott for my second DUI which I received in Howard County. He represented me in court and at my MVA hearing as well. Throughout the entire process I felt very comfortable with Scott, his expertise and appreciated his responsiveness. His services were affordable and worth every penny. I'm happy with the outcome and praying to God I never need to hire a lawyer again but if I do, 100% it will be Scott! Thanks for everything! Will a 120 day suspension for insufficient breath test hurt me in Court in Howard County? You need to speak with an experienced DUI lawyer. It is possible to find out down to the milliliter how much if s breath sample you provided. This, along with other information that the lawyer can help you gather may be the difference. MVA penalty for refusal is either 120 day straight suspension or interlock for a year. You will not need to go back through the MVA testing process once the suspension is completed.